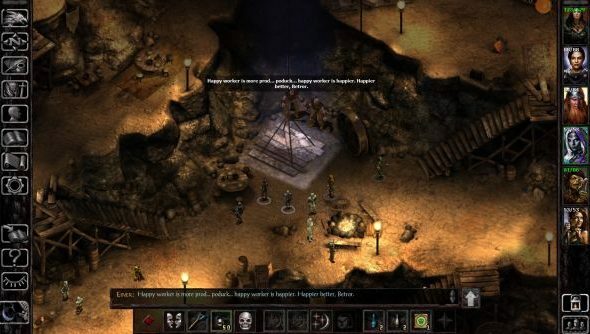 There’s a new Baldur’s Gate expansion on the way, more than 17 years after the release of the original game. It’s for the Enhanced Edition, of course, and being produced by the ex-Bioware alumni at Beamdog Interactive. Siege of Dragonspear will be out at the end of the month and has a massive collector’s edition to go alongside. Here’s the best RPGs you can play right now. If you’re unfamiliar, Beamdog is a company set up by a few Bioware folks that was then given the license to their oldest games, letting them create the various enhanced editions that have popped up over the past few years. In addition, they decided to bridge the gap between Baldur’s Gate’s triumphant ending and the more down-trodden beginning of its sequel. Siege of Dragonspear is that story, and we’ll get to play it on March 31st. It also has a frankly ludicrous collector’s edition available that comes with everything from a cloth map (in 2016! I know!) and a dragon’s head amulet necklace to copies of the base game and expansion. It’s a silly $129.99, but hey, it’s a big box. Natch that’s digital deluxe and regular editions too, of course, but do remember they need the base BG:EE to work. If you want to see more, here’s Beamdog’s latest livestream from last week, showing off about an hour of gameplay. Play starts at about 2:50. Jeremy also had a chat with them when they announced Siege of Dragonspear last year.